The annual event is also an opportunity to recruit new linemen. 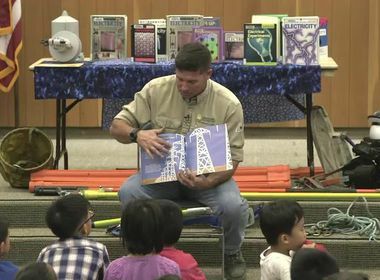 The competition was intense at the annual International Lineman’s Rodeo in Bonner Springs, Kansas, but in the end a team from Southern California Edison won one of the coveted prizes. Wil Robinson, Jacob Lybbert and Ramon Garcia placed first in the Journeyman Mystery Event #2, Replace Dead End Bell event at the 32nd Annual Lineman’s Rodeo & Expo. For the Journeyman teams overall, SCE had two teams in the top 50 out of a total of 229 teams. 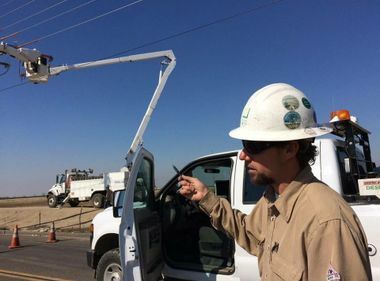 “Our linemen provide a highly skilled, and critical, service to our communities in safely providing reliable electric service and ensuring safety to the public,” said Gary Shockley, SCE principal manager in the North Coast Region. The three-day Lineman’s Rodeo attracts linemen from around the world to compete in traditional lineman tasks and skills. The event is an opportunity to showcase the best and most-skilled in the utility industry. The first Lineman’s Rodeo took place in 1984 with 12 teams from Kansas and Missouri. The rodeo today includes more than 200 teams and 300 apprentices. Currently, SCE has 80 open lineman positions. For more information on lineman positions: edison.com/home/careers.